RC300 SERIES FLEXIBLE FRAME RAIL | Dock Door Systems Inc. The RC 300 series flexible steel frame rail shelter provides a weather protected enclosure between the rail car and dock door. 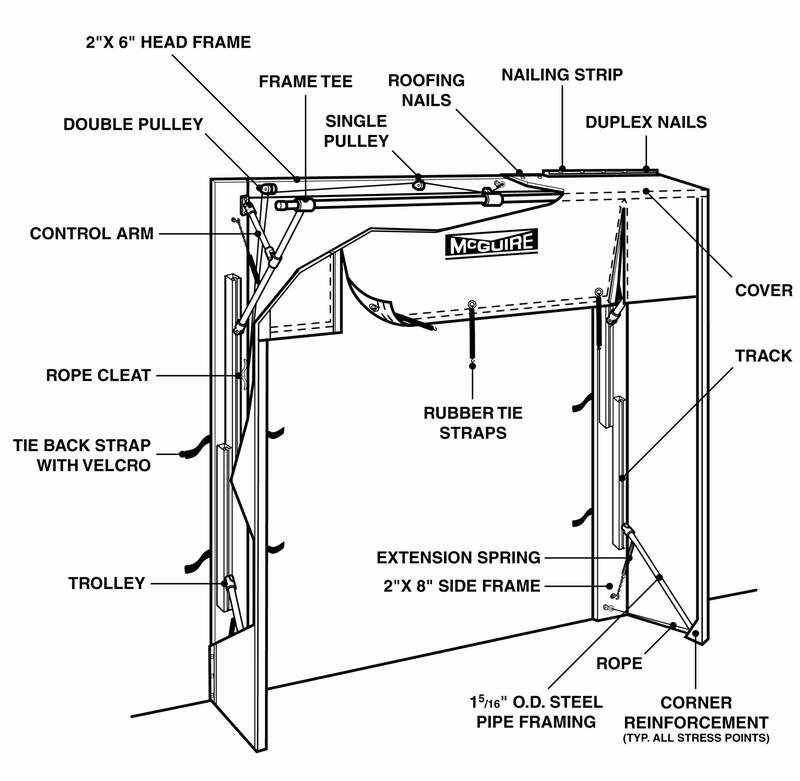 In the extended position, spring tension holds the shelter firmly against the rail car for safe loading and unloading. A foam cube on the leading edge of the steel frame seals against the rail car to ensure product protection, personnel safety, and reduced energy loss. The unit can then be retracted against the building, out of the way. This three-sided frame/three-sided cover RC 300 series offers simple, one-person operation with its spring-tensioned upper frame assembly. 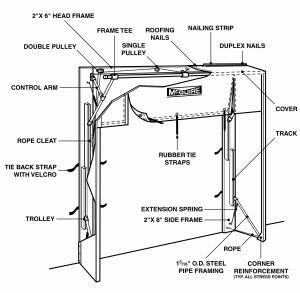 Also available in 4 sided frame – 3 sided cover and 4 sided frame – 4 sided cover models to fit all your rail dock needs.